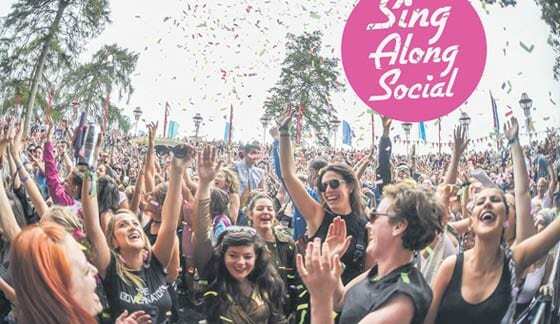 ‘A ZERO COMMITMENT CHOIR’ is the tagline that’s fuelled the rise of a quirk of the Irish music scene, the wonderfully boisterous ‘Sing Along Social’. The concept is simple: several lively ‘craic mechanics’ put on a few of your favourite cheesy records, and you crowd together, a mass of euphoria with the most innocent of aims: to belt them out at the top of your lungs. Things have barely let up since. Sing Along Social have two monthly events, at MVP in Dublin 8, and The Sugar Club, just off St Stephen’s Green, There’s an ever-diversifying list of themed days, corporate events and hen parties, and McElwain – also an Irish Times food writer and the author of a book on time management, ‘Slow At Work’ – has made this boisterous party her full time job, one that’s now close to fully booked for the remainder of 2019. Previous themes have included Beyonce v Lady Gaga, that Alanis Morissette album, and festival cheese-alongs at events from Electric Picnic to Body and Soul. The next festival-sized outing, at Mother Pride in June, will see Sing Along Social return to some well cultivated roots amid the LGBTQ community. Even after nearly four years of regular events – Sing Along Social emerged in September 2015 – there’s no let up in themes and events for the gang to explore, and some fantastic memories emerging from the experience. “Some older themes are coming back around from the early days, especially with the move to the Sugar Club. We’ll be doing the Spice Girls before they return in May,” McElwain says. 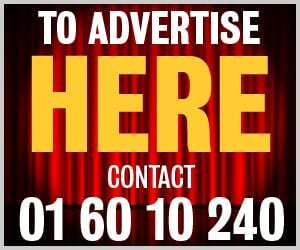 Sing Along Social will appear at Mother Pride Block Party at Collins Barracks, Dublin alongside Mo, Daithi, Panti Bliss and Pillow Queens. You can learn about their regular shows via the Facebook page.